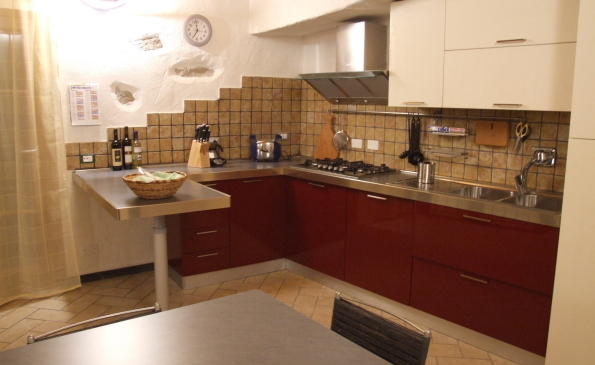 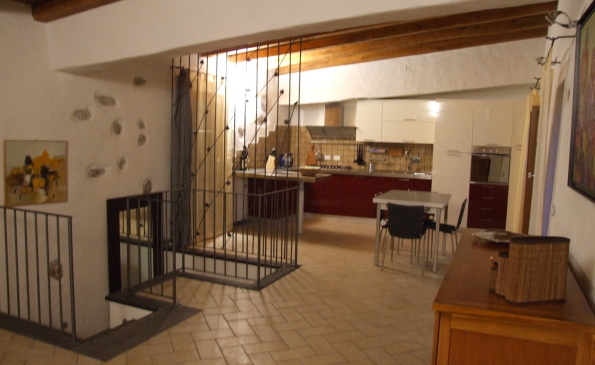 Two-story house for sale situated in a highly prestgious position: the higher part of the Borgo Antico, 150 m after the Eleonora D’Arborea main square, a few metres by the medieval Tower of the Castle of the Fava. 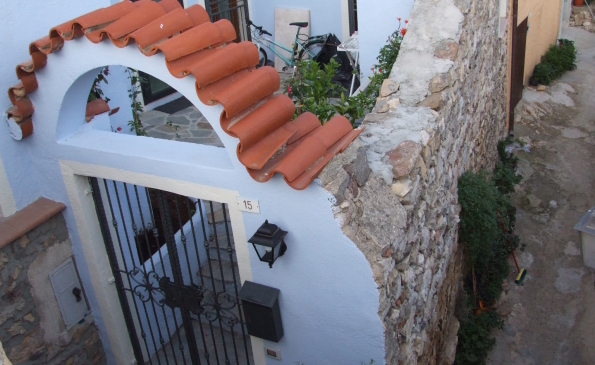 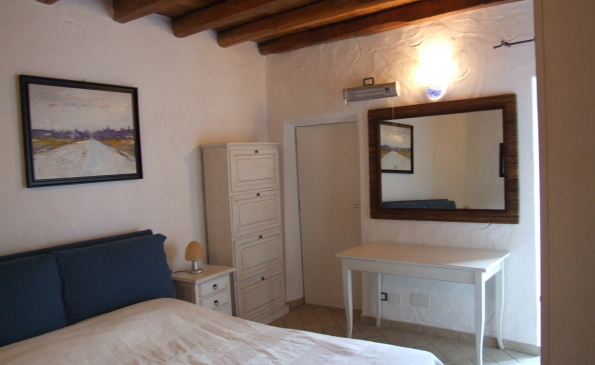 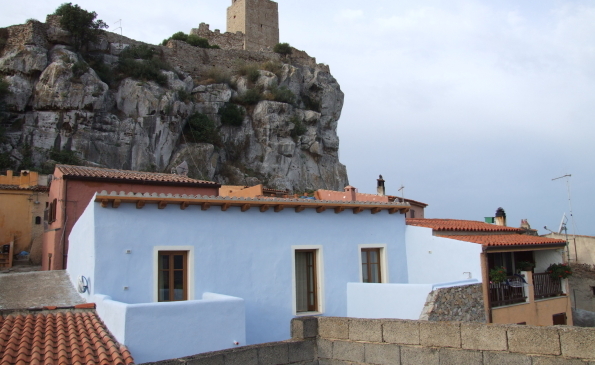 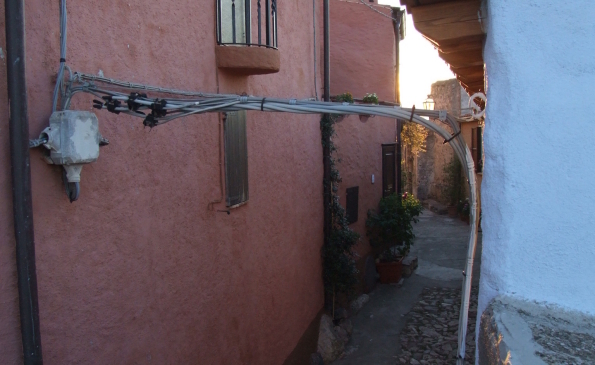 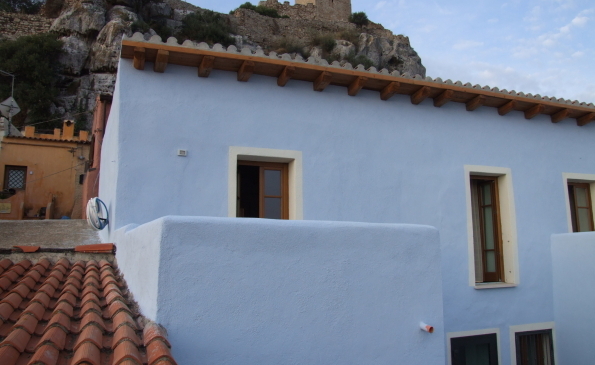 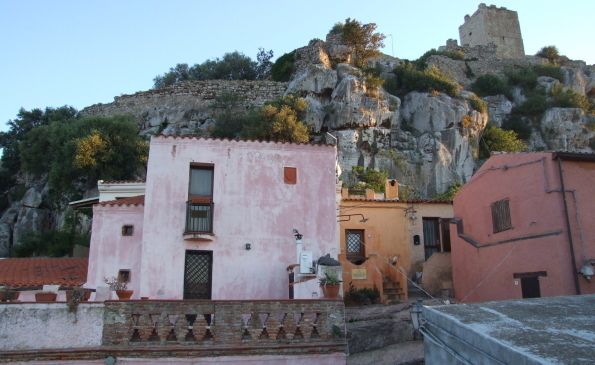 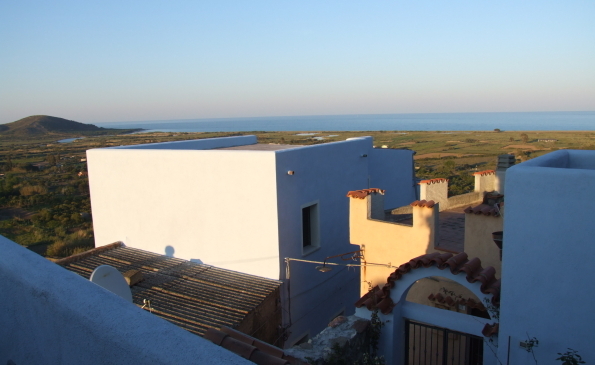 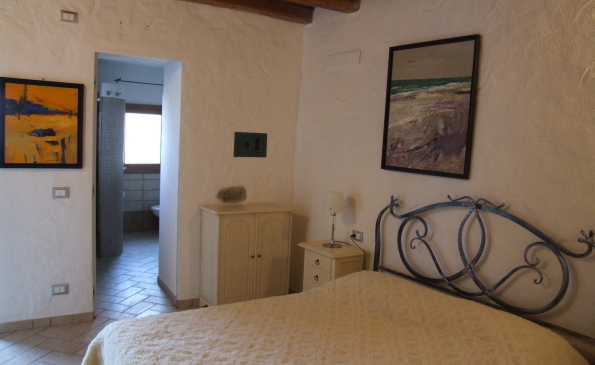 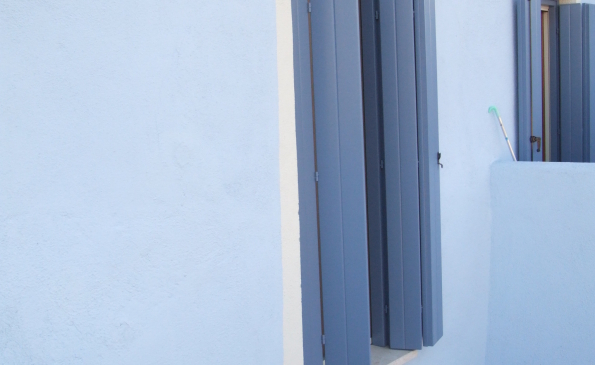 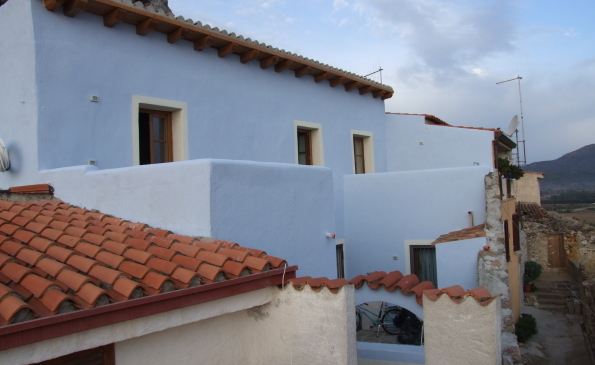 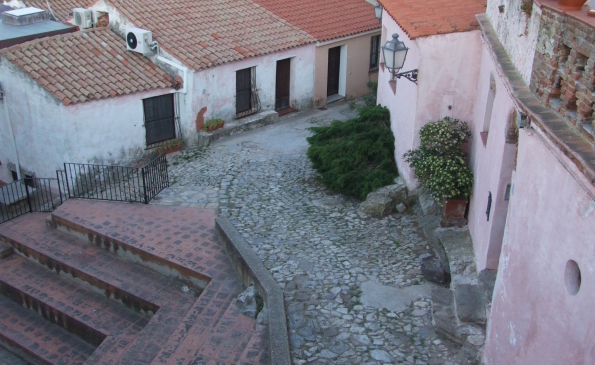 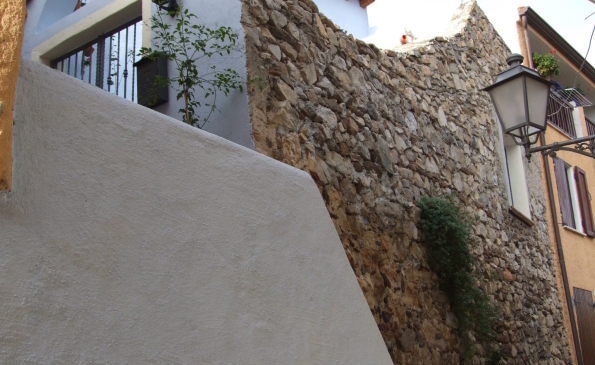 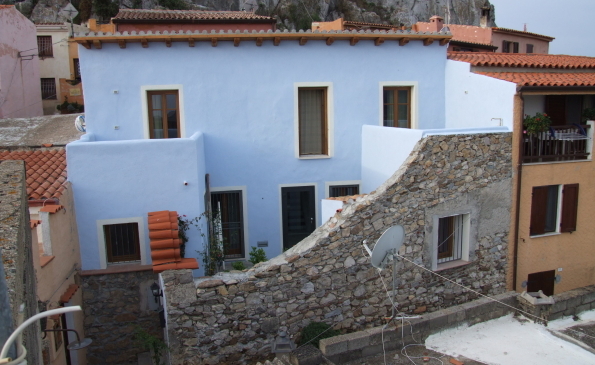 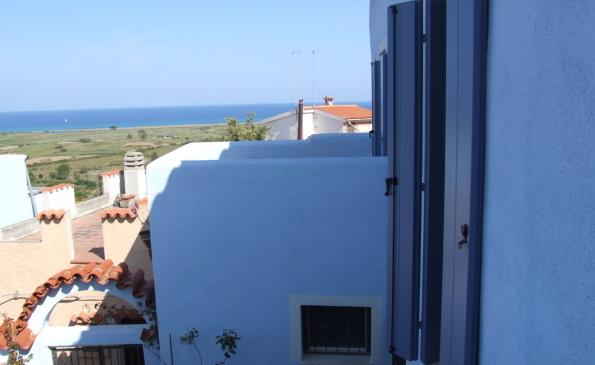 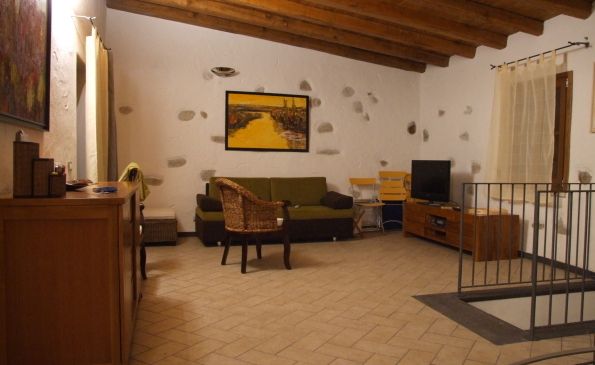 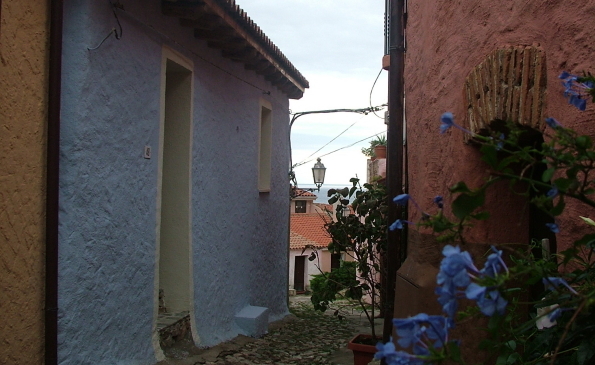 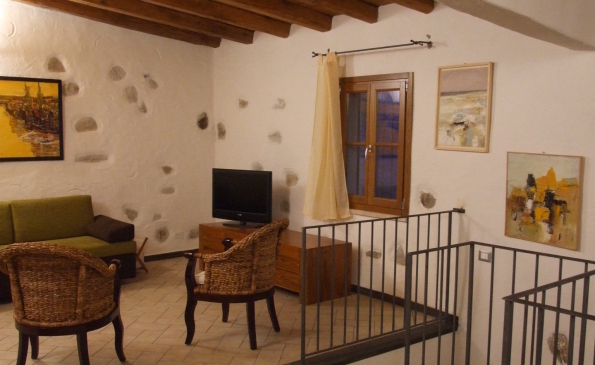 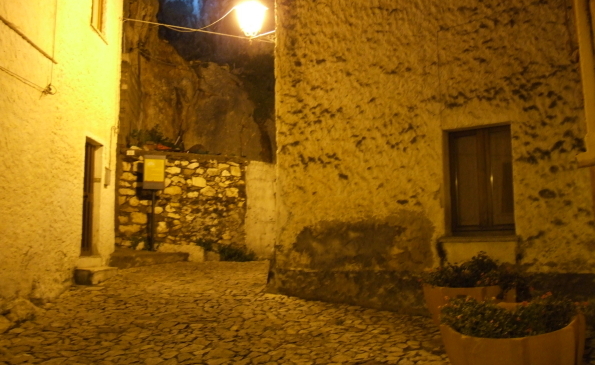 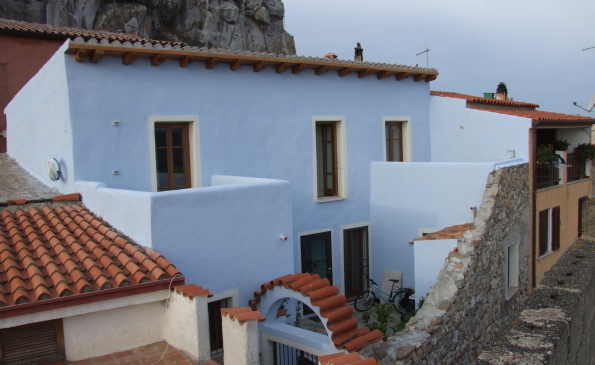 The house is in the oldest part of the village (XII century) and has been restored retaining its ancient and original stone walls, while the roof and ceilings have been rebuilt according to the tradition of Sardinia. 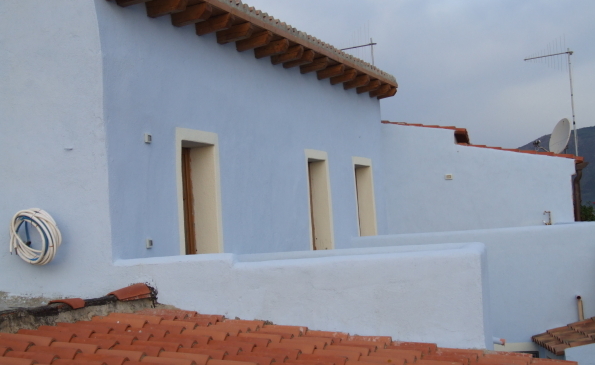 The house has been made comfortable and habitable according to the modern needs. 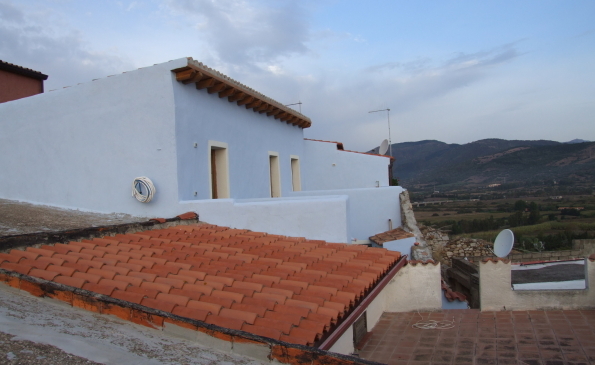 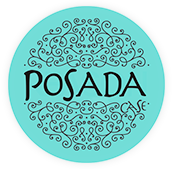 This estate has a veranda with a 180° view overlooking the breathtaking natural scenery of the territory, from the sea to the mountains. 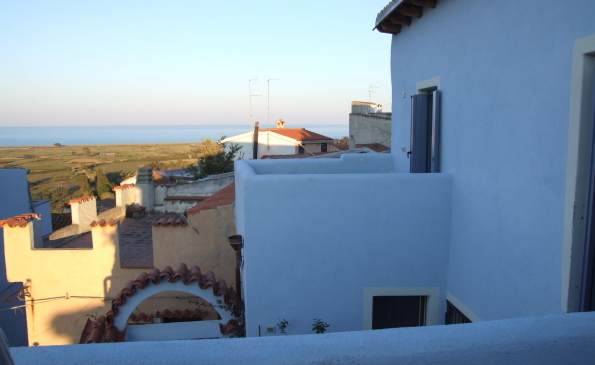 The two terraces overlook all the natural scenery, the underlying alluvial plain, the sea, the mountains, with a 270° view. 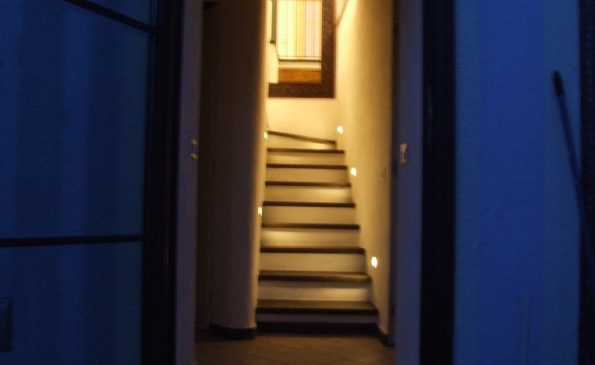 An important feature of this house is the fact that it’s arranged on two floors with two separate entrances, one on the ground floor, one on the upper one. 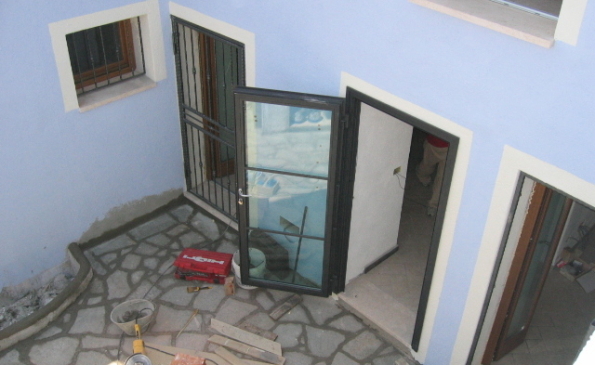 Hence, you’ll be given the possibility of entering and exiting the house regardless of the floor you are! 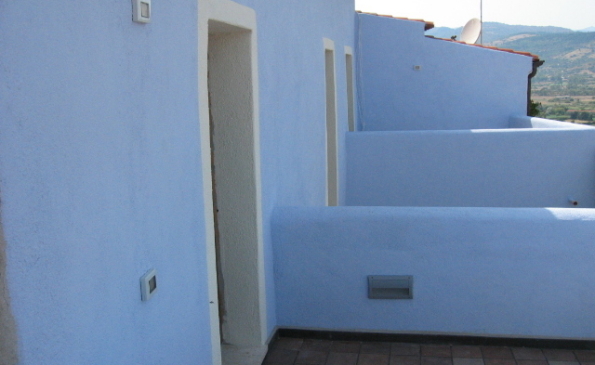 The house has 8 beds and is composed of 4 compartments, 2 bathrooms, 2 terraces, and the patio. 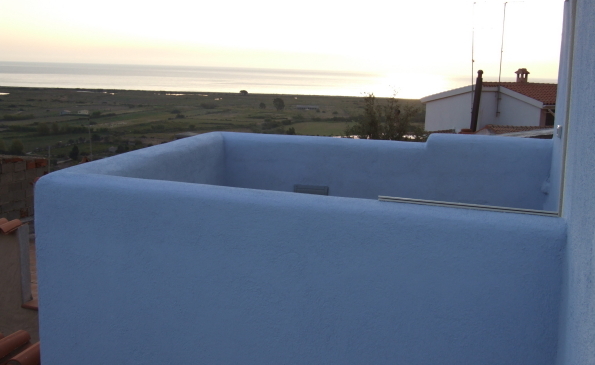 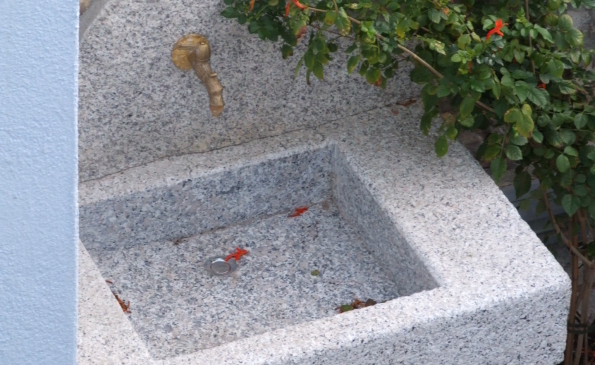 There are two terraces with marble washbasin (15 m²) in order to have dinner outside. 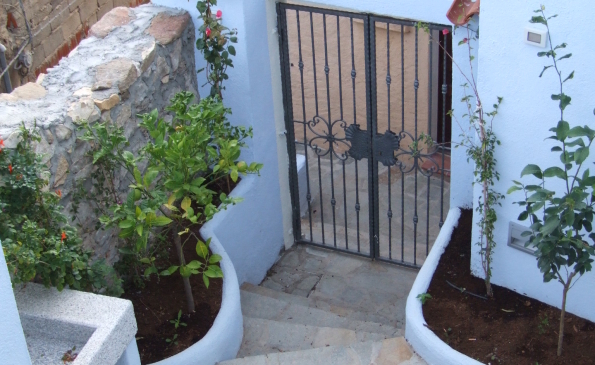 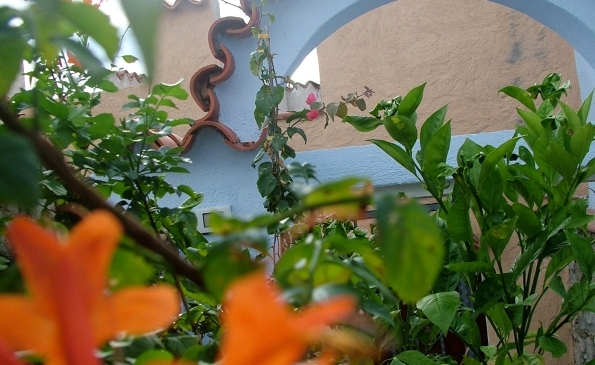 One gets to the Casa Arborea thanks to a patio situated in the private patio. 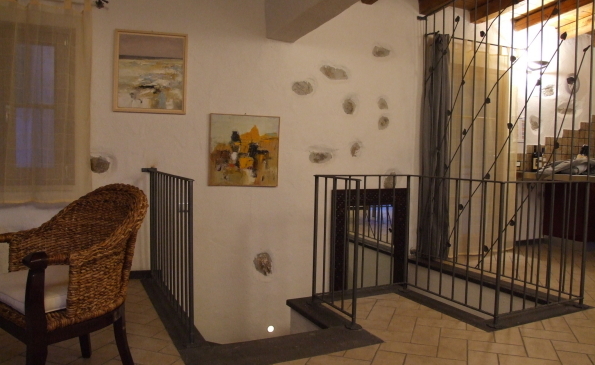 From the entrance hall one gets to the upper floor thanks to a magnificent staircase. 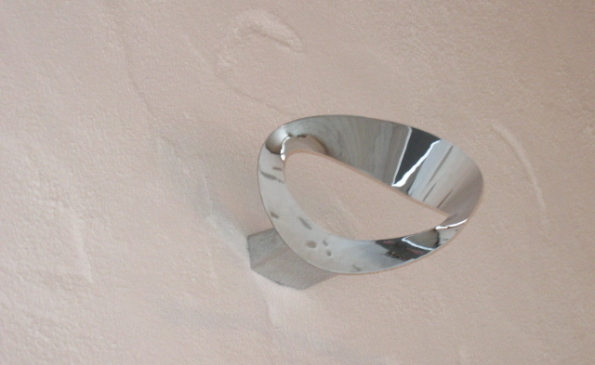 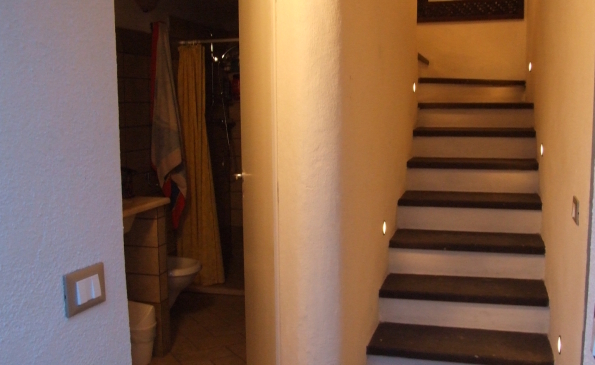 From the hall one gets to the bathroom with shower and hanging washbasin, bidet, wc. 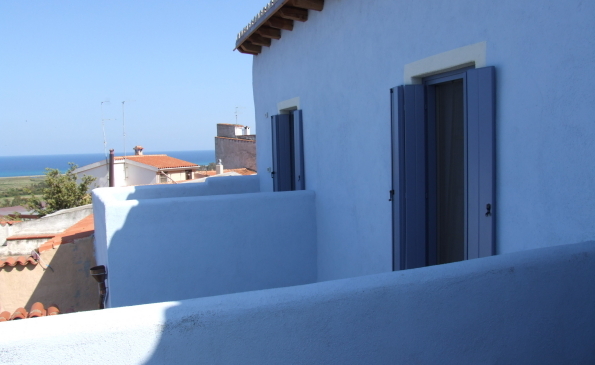 From the hall one can also gets to the “sea-side” bedroom (14.80 m²) with ensuite bathroom (5.20 m²) composed as the former plus a washing machine. 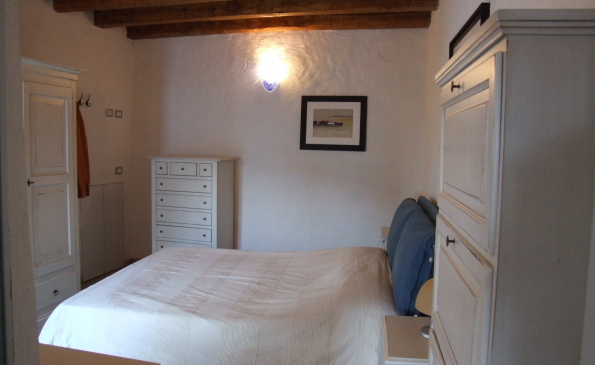 Then, there are other two bedrooms (14.10 m² and 7.30 m²). 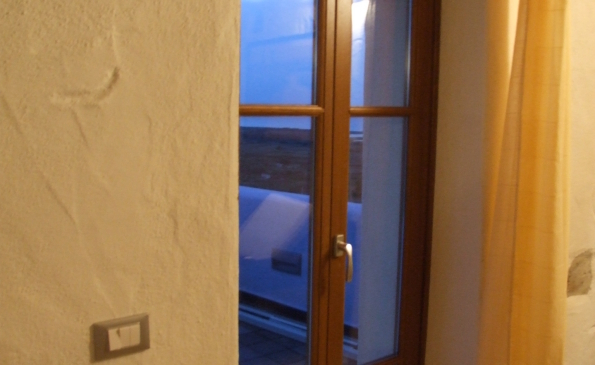 There’s also a b room closet containing the boiler to produce hot water. 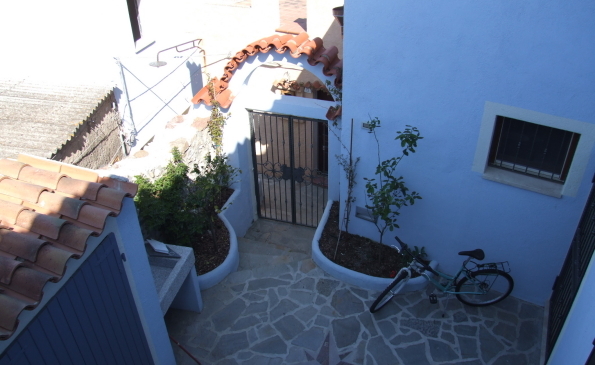 All the three bedrooms have a French door to get to the courtyard. 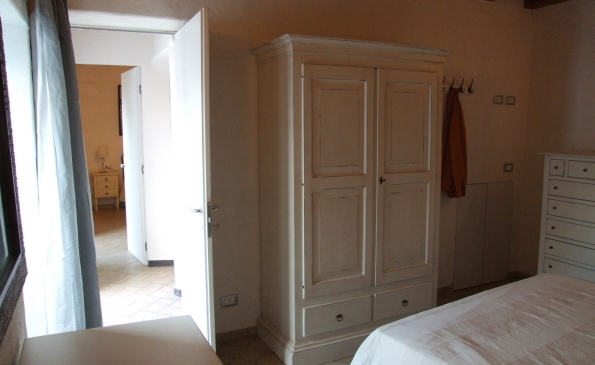 The house is sold furnished, with all the systems.